The Theory of Everything (2014) was a career-defining moment for many of the cast. Eddie Redmayne gave a methodically meticulous performance which rightfully landed him an Oscar for the Best Actor in a Lead Role category, after aptly portraying the life of an individual who suffered tremendous physical disability over more than four decades. The movie was nominated in five different categories for Academy Awards: Best Picture, Best Actor in a Lead Role and Best Actress in a Lead Role, Best Original Score and Best Adapted Screenplay. 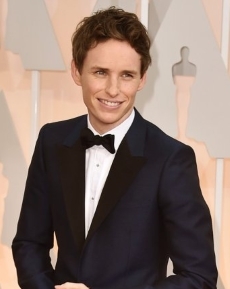 Born on 6 January 1982, Eddie Redmayne is a British actor who has appeared in a number of well-received over the last couple of decades, including The Theory of Everything, in which he won an Oscar as the lead actor. Redmayne was born and raised in London as one of five children, the only member of his family to follow a career in acting, after attending drama classes as a child. He went to school at Eton College and performed at the National Youth Music Theatre before going up to Trinity College, Cambridge University to study History of Art. Redmayne's first professional stage performance at Shakespeare's Globe Theatre was as Viola in Shakespeare’s Twelfth Night. Just two years later, he won an Oliver Award for Best Actor in a Supporting Role for his stage role in Edward Albee's play The Goat, before roles in films and on television, including Elizabeth I (2005), The Good Shepherd (2006) and Savage Grace (2007). In 2010, he won a Tony Award for his supporting role in Red, a play about artist Mark Rothko. His work in My Week with Marilyn (2011) and Les Misérables (2012), a musical film which became a global success that saw his career rocket. After winning an Oscar and Global Globe for his lead role as Stephen Hawking in The Theory of Everything (2014), he was again nominated for the same to awards for his role as a transgender artist in The Danish Girl (2015). Born in Birmingham, England on 17 October 1983, Felicity Rose Hadley Jones grew up in Bournville. Her uncle is actor Michael Hadley. Her acting career began at the age of 12 in The Treasure Seekers (1996) and The Worst Witch. After school, she had a role in the BBC series Servants (2003) before graduating with a 2:1 degree in English from Wadham College, Oxford in 2006. In the UK she is also known for playing the role of Emma Grundy in The Archers, a role that began when Felicity was aged 15. In 2008, she appeared in a London production of The Chalk Garden at the Donmar Warehouse. Since 2006, Jones has appeared in numerous films, including Northanger Abbey (2007), Brideshead Revisited (2008), Chéri (2009), and The Tempest (2010). as Jyn Erso. Her performance in the 2011 indie film Like Crazy (2011) which chronicled a transatlantic romance, won her many awards, including the Special Jury Prize at the 2011 Sundance Film Festival. In 2013, she starred opposite co-star and director Ralph Fiennes in the film Invisible Woman. In 2014, her performance as Jane Hawking in The Theory of Everything (2014) was also met with critical acclaim, with nominations for the Golden Globe, SAG, BAFTA, and Academy Award for Best Actress. In 2015, she appeared in the role of Jill Barker in the crime biopic True Story, followed the next year, with a role in the thriller Collide and in Rogue One: A Star Wars Story. 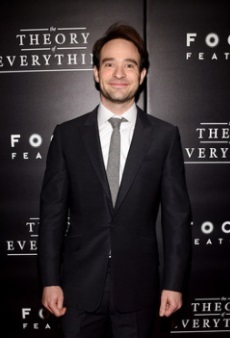 Born in London on 14 December 1982, the youngest of five children, Charlie Thomas Cox attended the Sherborne School in Dorset where he learned to act and where he received the Gerald Pitman Award, though he did not consider acting as a career until after he left school and moved to London. He enrolled at the Bristol Old Vic Theatre School and in 2003 received rave reviews for his role in Dot the I at The Sundance Film Festival. He starred in Things to Do Before You're 30 (2005) and The Merchant of Venice (2004) with Al Pacino. Cox's breakthrough in the industry came with his role as the main protagonist, Tristan Thorn in the fantasy film Stardust (2007). The next year, he played the closet-gay Duke of Crowborough in the first episode of the hit television drama series Downton Abbey in 2010. In 2013, Cox starred in indie film Hello Carter and in the BBC Cold War thriller Legacy which was followed by a supporting role in The Theory of Everything, playing Jonathon Hellyer Jones, the second husband of Jane Hawking. Between 2015-18, Cox played Matt Murdock / Daredevil in the Marvel Cinematic Universe television series for which he received a Helen Keller Achievement Award for his role by the American Foundation for the Blind. His most recent feature film role was in King of Thieves and Cox is currently working on the movie Stripped, with filming is expected to begin in Spring 2019. 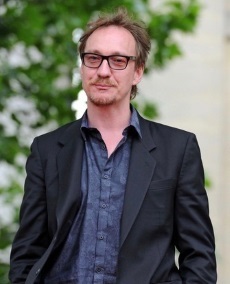 Born on 20 March 1963 in Blackpool, England as David Wheeler, David Thewlis moved to London with his punk band Door 66, before changing his plans and entering the Guildhall School of Drama, graduating in 1984. His breakthrough role after some minor parts in film and on television, was when he took on the lead role as Johnny Fletcher in Naked (1993), directed by Mike Leigh, for which he won several awards including the Cannes Film Festival Award for Best Actor. Divorcing Jack (1998) which saw him nominated for a British Independent Film Award; Kingdom of Heaven (2005), The Boy in the Striped Pyjamas (2008), War Horse (2011), The Theory of Everything (2014), Anomalisa (2015) and Sir Patrick Morgan/Ares in Wonder Woman (2017). He also stars as Mike in Eternal Beauty (2019) and has been signed up to Avatar 2 and Avatar 3 in 2020 and 2021 respectively. In 1995, Thewlis directed Hello, Hello, Hello, nominated for a BAFTA Award for Best Short Film. He also wrote, directed and starred in the feature Cheeky (2003). His novel, The Late Hector Kipling, was published in 2007. 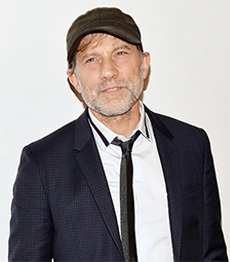 Born on 25 August 1957 in Cambridge, England, Simon Montagu McBurney, OBE are an English actor, writer and director. He studied English literature at Peterhouse, University of Cambridge, graduating in 1980. He later moved to Paris and trained for the theatre at the Jacques Lecoq Institute, from which he founded and has been the artistic director of the Théâtre de Complicité, now known as Complicite based in London, which performs on the international circuit. He has had various film roles, including The Manchurian Candidate (2004), Friends with Money (2006), The Last King of Scotland (2006), Fra Pavel in The Golden Compass (2007), Charles James Fox in The Duchess (2008), Father Tancred in Robin Hood (2010), Kreacher in Harry Potter and the Deathly Hallows: Part 1 (2010), Oliver Lacon in Tinker Tailor Soldier Spy (2011), Jane Eyre (2011), Howard Burkan in Magic in the Moonlight (2014), Frank Hawking in The Theory of Everything (2014), Mission: Impossible – Rogue Nation (2015), The Conjuring 2 (2016), Allied (2016) and Sir Francis Chichester in The Mercy (2018). In 2005, he was awarded Officer of the Order of the British Empire (OBE) by Queen Elizabeth II. 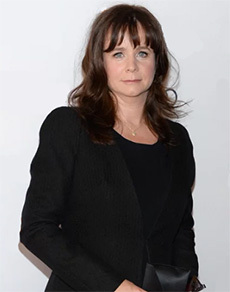 Born on 14 January 1967 in London, Emily Watson had a sheltered upbringing, in the capital before going up to Bristol University to study English literature. On her first application to drama school she was rejected, finally getting accepted three years later. She got a place with the Royal Shakespeare Company where she performed her first professional job in 1992. Her first screen role as Bess McNeill in Breaking the Waves (1996) won her both Golden Globe and Academy Award nominations. This led to lead roles in Metroland (1997) and The Mill on the Floss (1997), and The Boxer (1997). In the next two years she another nomination for an Academy Award for her portrayal of cellist Jacqueline du Pré in Hilary and Jackie (1998) before Cradle Will Rock (1999). She took the lead role in the hit movie Angela's Ashes (1999). Her other film credits include Gosford Park (2001), Red Dragon (2002), Equilibrium (2002) and Punch-Drunk Love (2002), The Life and Death of Peter Sellars (2004), Corpse Bride (2005), Miss Potter (2005), War Horse (2011), Anna Karenina (2012), Belle (2013), The Book Thief (2013), The Theory of Everything (2014) in which she played the mother of Stephen Hawkings wife, whilst only being 16 years older that Felicity Jones; Testament of Youth (2014), Everest (2015), On Chesil Beach (2017), The Happy Prince (2018). In 2015, Watson was awarded the OBE (Order of the British Empire) in the 2015 Queen's New Year’s Honours List. Born 14 July 1974 in Manchester, England, Maxine Peake is an English stage, radio, film and television actress, who made her name as Twinkle in Victoria Wood's sitcom Dinnerladies. She is also an accomplished stage actress, having played the title role in Hamlet. Peake joined youth theatre groups as a teenager, in Bolton and Manchester before completing a two-year performing arts course at the Salford College of Technology. After several failed attempts to get into drama school in the north-west of England, she was offered a place at the Royal Academy of Dramatic Art (RADA) in 1995 which awarded her the Patricia Rothermere Scholarship. With a focus on stage work, leading Peake to be appointed an Associate Artist of the Royal Exchange Theatre in Manchester in 2013, it was 2008 before Peake took part in her first movie, playing the part of Angele in Clubbed. Her filmography includes Edge (2010), Room at the Top (2011); Private Peaceful (2012), Run & Jump (2012), Svengali (2012), The Falling (2014), The Theory of Everything (2014), Keeping Rosy Charlotte (2014), Funny Cow (2017) in which Peake’s role as the protagonist received a nomination for a British Independent Film Award for best actor. She has most recently starred in Peterloo, based on the events of the 1819 Peterloo Massacre in Manchester and directed by Mike Leigh (2018) and Gwen (2018), a Welsh folk tale which was nominated for best film at the 2018 Toronto International Film Festival.